Headlamps. 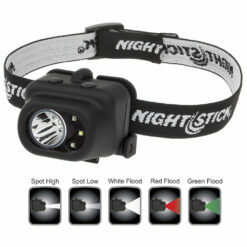 Wide selection of LED headlamps that support hands free use. A combination of single switch and patented dual switch headlamps. 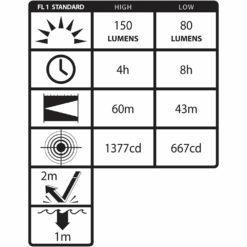 Operate in single or dual (spotlight and floodlight) modes simultaneously. Designed for headband wearing or helmet attachment. Comfort fit, Ratcheted and Adjustable tilt headband. Multiple light output lumen settings. LED color options include White, Red, and Green. Rugged polymer housing.